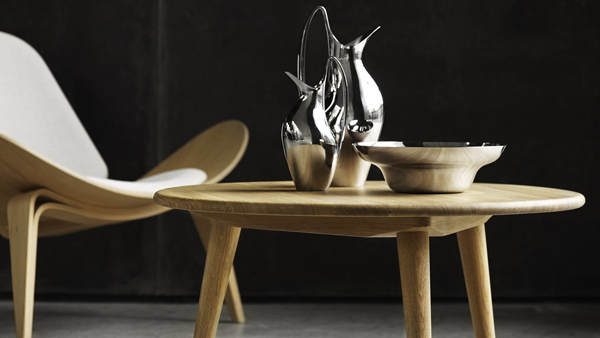 Scandinavia became one of the leading countries for ‘progressive’ design in the 20th century. This lecture starts by looking at design reform and the arts and crafts movement at the end of the 19th century. Included will be the interiors of Karl Larsson, for many the direct precursor of the IKEA Swedish style; the metalwork of the Dane Georg Jensen, which drew heavily on the English Arts and Crafts; Swedish and Danish glass and ceramics – Orrefors, Rorstrand and Copenhagen. The impact on Scandinavian designers of the Arts and Crafts, Art Nouveau, Art Deco and Modernism will be appraised bringing us up to the 1950s when it can be said Scandinavian design came of age. Scandinavian Modern, as it was christened in America, offered an ideal life-style for the post war era, based on clean lines, natural materials and the notion that ‘less is more’. Founded on principles of economy and self reliance-Do-It-Yourself-IKEA has globalized Scandinavian Modern and many have embraced its founder’s ethos as it suits our busy lifestyles.